O.K. that's the plan. We'll see how it goes! 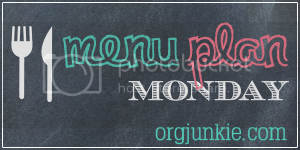 More menu plans at org junkie!